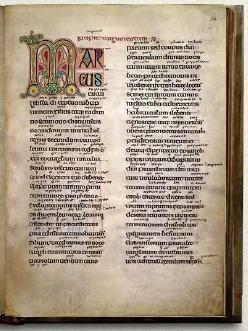 On this page we look at some extraordinary or interesting manuscripts of the Bible. 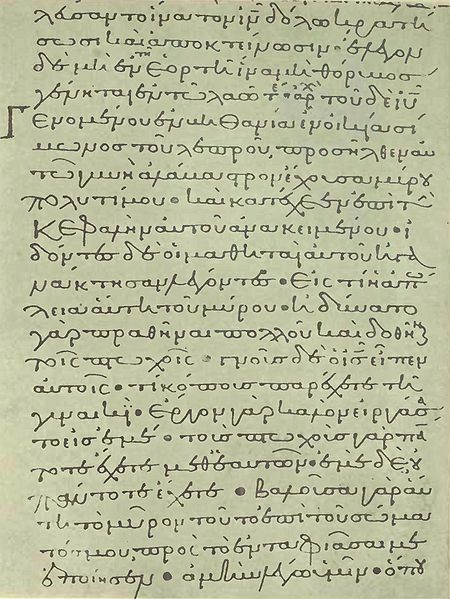 First page of the Epistle to the Romans. Photo: Magdalen, Oxford. 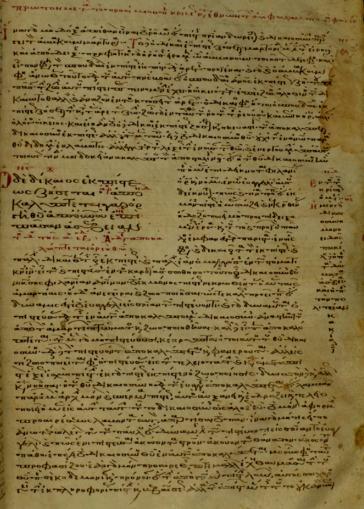 This beautiful Greek Minuscule manuscript is dated late tenth or early eleventh century. It rests in the Magdalen College, Oxford. Though the images on this page is compressed, it still gives an idea of the magnificent beauty of this manuscript. Apart from the introductory notes by Euthalius, it also includes the catenae or commentary by the Church Father Oecumenius. Heading of Romans, Magdalen, Oxford. Note the large decorated Pi, of which only the right part is visible in this image. The last four letters, (iû xû) in the first row represent the abbreviation commonly used for “Jesus” and “Christ”. On folio 9 an insert is found both on the left and right of the page. Magdalen, Oxford. 3. On most cases an insert is found only on the inner side of the page. 4. Insert on folio 9 in detail. 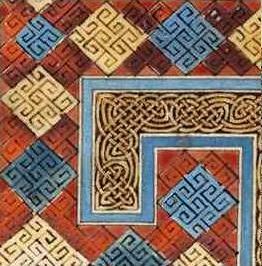 The Lindisfarne Gospels are presumed to be the work of Eadfrith (†721), Bishop of Lindisfarne(North East of England). It is believed they were produced in honour of St. Cuthbert around 715. 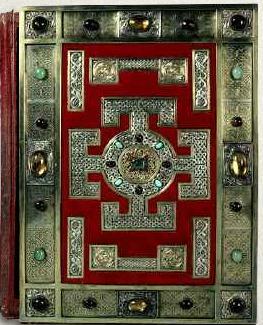 The original fine leather binding covered with jewels was raided by the Vikings and a replacement made in 1852. Two pages showing the art. 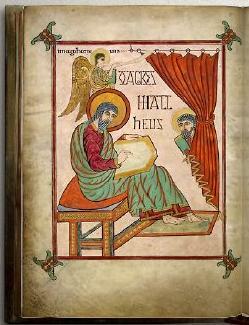 The Gospels are typical of the art and calligraphy current in the British Islesin the early Middle Ages. Painting of Matthew with his symbol, a man with wings in the background. Like this painting of Matthew, each author is portrayed at the beginning of his Gospel, each with his symbol somewhere in the painting. 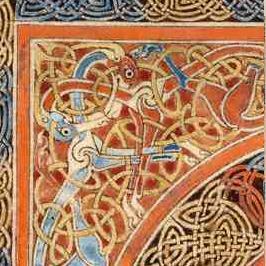 In the tenth century an Old Englishword-for-word translation of the Gospels was inserted between the lines of the Latin text by Aldred. 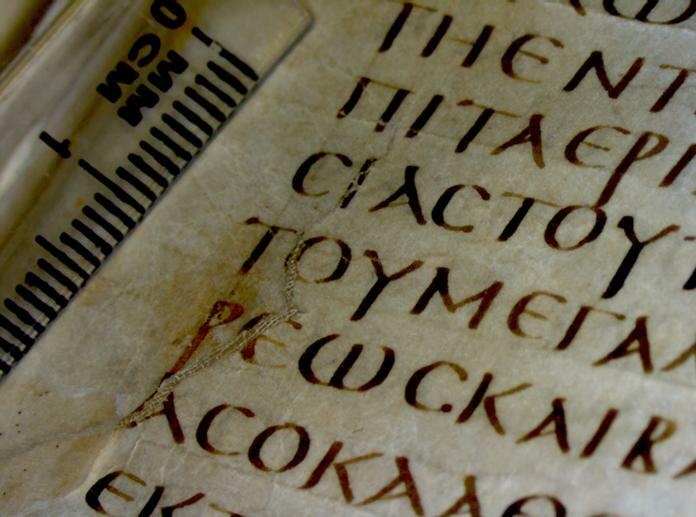 This is the oldest extant translation of the Gospels into the English language. 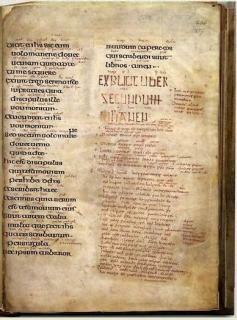 It represents the oldest version of the Gospels in the Anglo Saxon language. Last page with inscription in Old English (in brown ink). On the last page Aldred added a substantial inscription in Old English setting out details of the history of the Gospels. The names which he gives can all be found in other historical sources. At present it resides in the British Library in London. 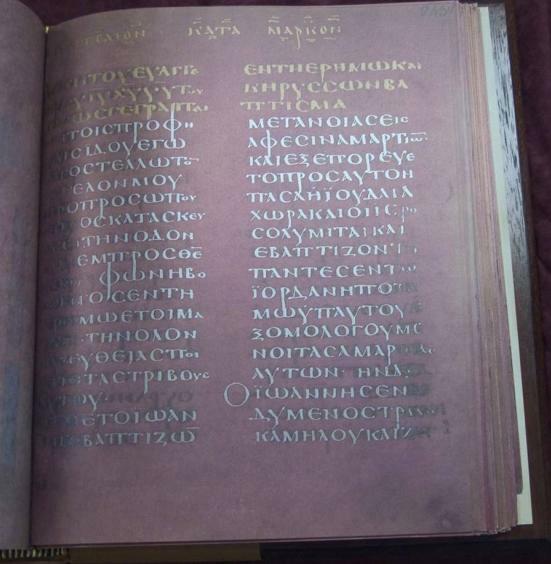 Codex Ephraemi is an early 5th century Greek manuscript of the Bible, written in uncials on parchment. Originally the whole Bible seems to have been contained in it. 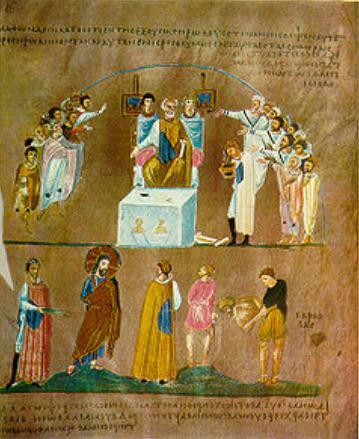 During the twelfth century the parchment was washed and utilised for a minuscule Greek translation of thirty-eight ascetic sermons by the Syrian St. Ephraem, hence its name. 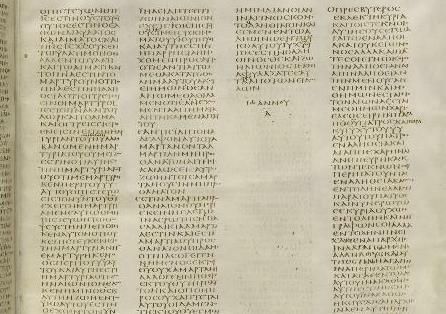 About five-eighths of the New Testament, containing portions of all the books except for 2 Thessalonians and 2 John remained. Both the uncials, akin to our capital letters, and the later minuscules with their smaller round letters in running hand can be discerned. 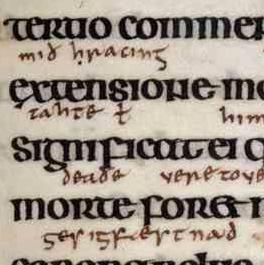 Note that the washed page containing the uncial codex had been used upside down when the minuscule document had been written over it. The text of the palimpsest was deciphered and published by Tischendorf in 1840-1841. The text is a compound of all text types, agreeing often with the later Byzantine type. 8. 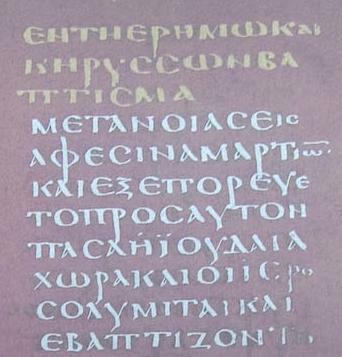 Coptic Translations of the New Testament. Until the Christian Era, Coptic, the latest form of ancient Egyptian had been written in hieratic and demotic script, two derivatives of hieroglyphs. 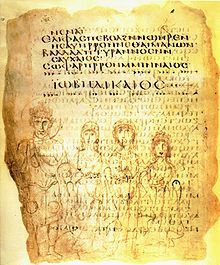 The Christians though used Greek uncials with the addition of seven demotic characters when they translated the New Testament in the four Coptic dialects. About 225 A.D. the New Testament had been translated into Sahidic, spoken along the Nile, South of Thebes. About a century later a translation in Bohairic, spoken in the regions of the Nile Delta in the North followed. Translations in Fayyumic and Achmimic were later made. 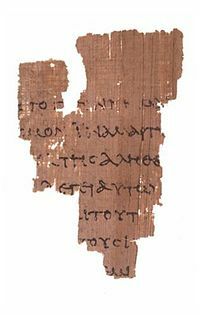 P52 is a fragment of only about 6.5x9cm (2½”x3½”), and contains only John 18:31-33 on the recto and John 18:37-38 on the verso. 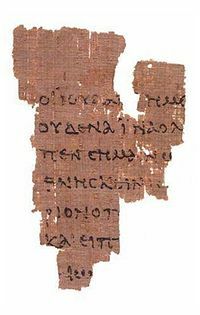 This is the oldest portion of the New Testament that has survived. For quite some time it was thought that the Gospel of John had only been composed around 160 A.D. The discovery of this fragment by Bernard P. Grenfell in 1920 proves that this Gospel had been known ±125 A.D., the date of this fragment. It also proves that the fourth Gospel could really have been written by the disciple John. Just as a single footprint in the sand proved to Robinson Crusoe that another human being existed on the Island, the value of this fragment is immeasurable. 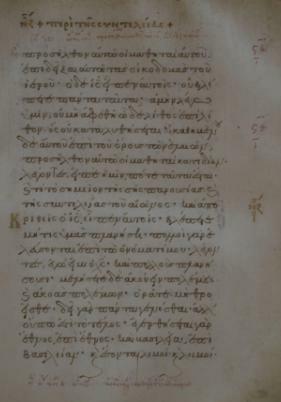 The Curetonian Syriac is a translation made ±450 but preserves a text that dates from the close of the second or early third century. The text type is Western. Syriac was spoken in a large area East of Palestine. 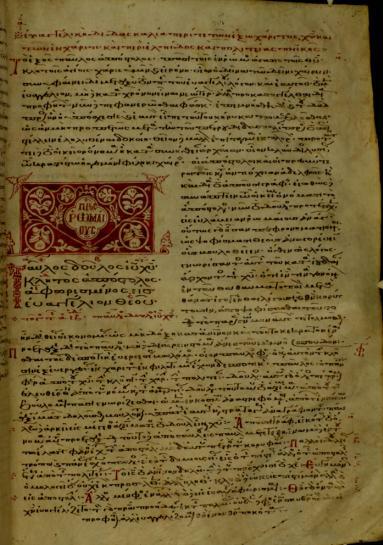 The Syriac letter type is very interesting, and in this manuscript masterly crafted. This codex is customarily given the prime position among the New Testament manuscripts. It contains the Old as well as the New Testaments as well as certain apocryphal books. Tear in the parchment repaired. Note the legible writing. Though there are certain errors present in the manuscript, they are easily identified and explained. The text however agrees with most of the oldest papyri. A small decoration is found at the end of every book before the following book. 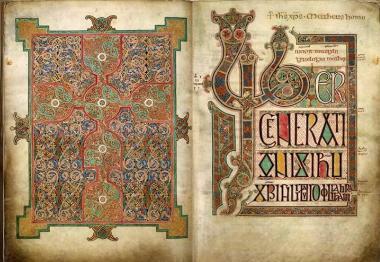 This is one of only a few four column-manuscripts and is executed in beautiful legible uncial letters. The text type is Alexandrian, widely accepted as the nearest representation of the original autographs. ‘n Klein versiering is aan die einde van elke boek aangebring voordat met die volgende begin is. Hier is die einde van 1Johannes em die begin van 2 Johannes. #4 Gigas (the Giant) ±1225. 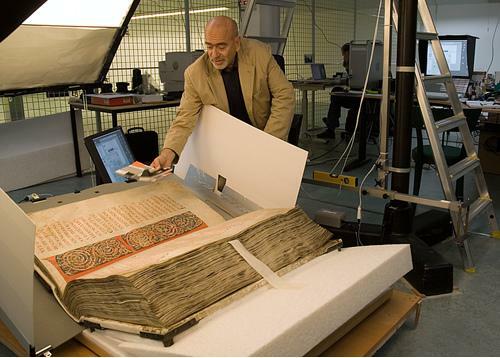 This is probably the largest manuscript in the world. It measures 51cm (20 inches) wide and 91.5cm (36 inches) tall! It contains the whole Bible in Latin as well as the Etymologiae (an encyclopedia in twenty books), of Isidore of Seville. 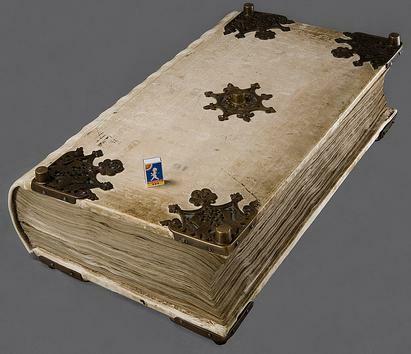 Codex Gigas is prepared for digital copying in the Royal Library in Stockholm, Sweden. The Gigas has numerous decorations including the artist’s idea of Heaven. Many first letters of the paragraphs are also decorated. Extraordinary this manuscript really is. 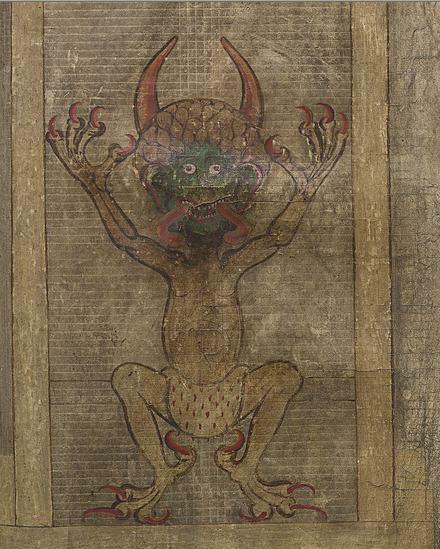 It is also known as the “Djävulsbibeln” after an image of “the Devil”. 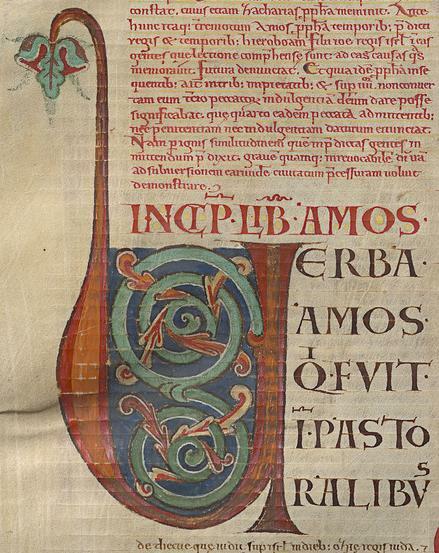 This beautiful manuscript is adorned with some enlarged golden letters. 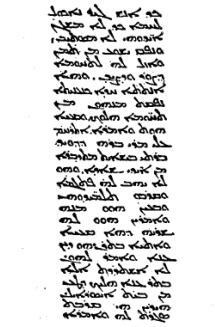 The script is done in the minuscule type, in use since the ninth century. This manuscript had only recently been discovered and is not yet catalogued. Any variations it might contain has not yet been included in the text of the United Bible Societies, but will be done in due course. 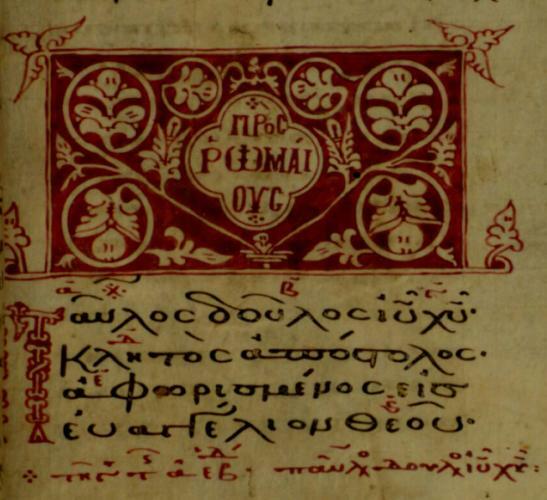 Do visit the centre for the study of New Testament Manuscripts where beautiful images of some of the pages are available online at http://www.csntm.org. #2 Manuscript Ms.157, Twelfth century. 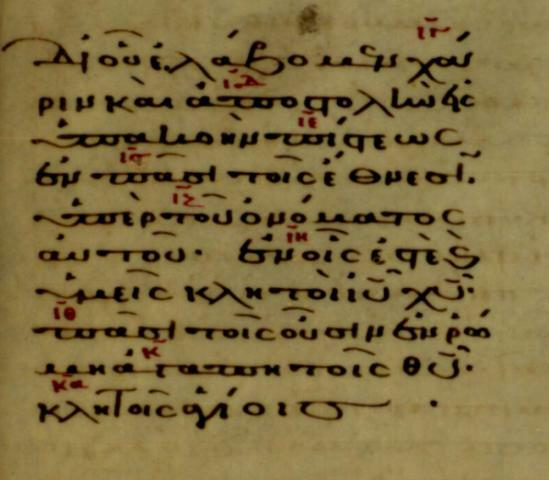 Manuscript 157 is written in the minuscule letter type and contains the four Gospels. It had been written for Emperor John11 Comnenus (1118-1143). This is a beautiful example of the minuscule type. 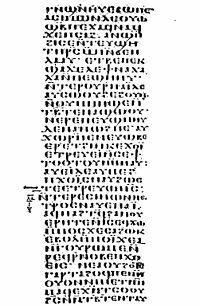 Each Gospel has a colophon at the end stating that it was copied and corrected “from the ancient manuscripts atJerusalem”. This same colophon is also found in a dozen other manuscripts. The text type is Caesarean, following in substance the Alexandrian, but containing also many Western readings. It is kept in the Vatican. It is one of the most beautiful manuscripts, written on fine purple vellum. 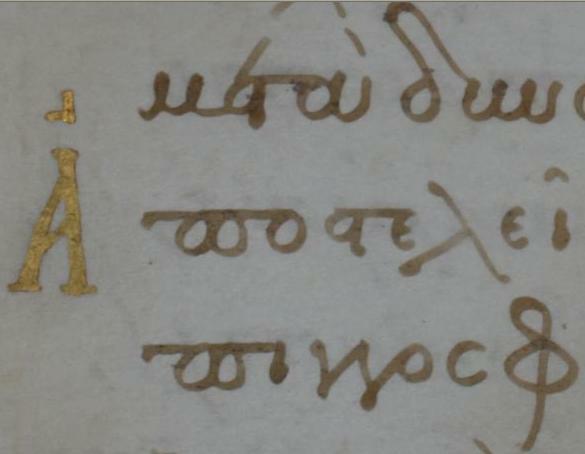 The first three lines are written in gold, the rest in silver. Detail. Note how carefully and neat every letter had been written. This codex is the earliest known to contain miniature paintings in water color. This painting depicts Jesus and Barabbas before Pilate. The court stenographer is standing at the table.